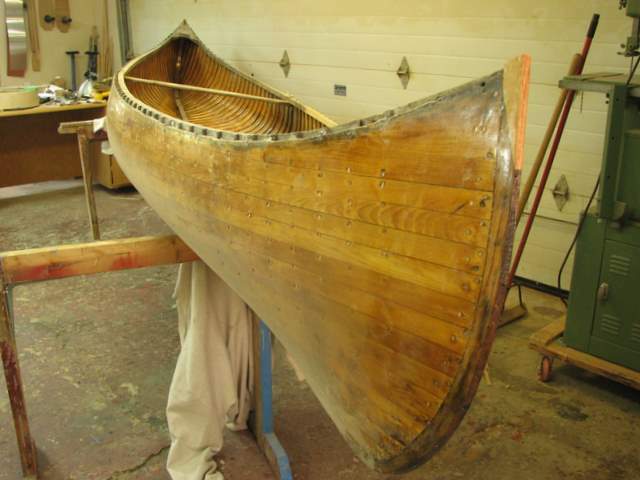 The Peterborough Lake Queen that I was working on last year is finally back on track. 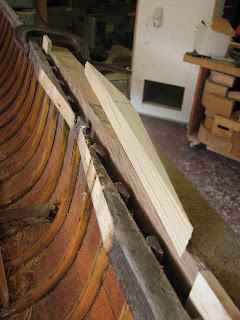 The client ran into some unexpected expenses and had to put the canoe on hold. Now that the Kildonan is done and the Esprit is just about done, its time to get a move on with this one. 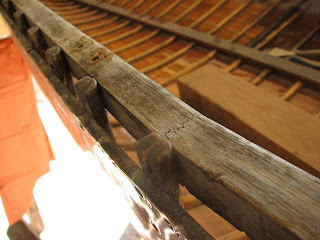 The gunnels need to be sanded down to bare wood and the old thwart is seriously in the way. 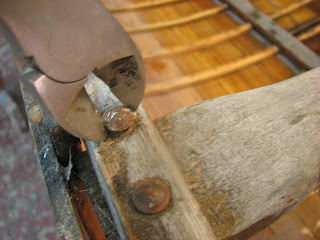 If the bolts had been bronze or brass it would have been an easy thing to remove the four bolts. As the were steel, well, the ravages of time kept the nuts on pretty tight. I've run into this situation a number of times so I have a repertoire solutions. What worked this time was to take the side-cutters and grab the head of the bolt and twist it enough so that I can use the next tool. Which happen to be vise-grips. 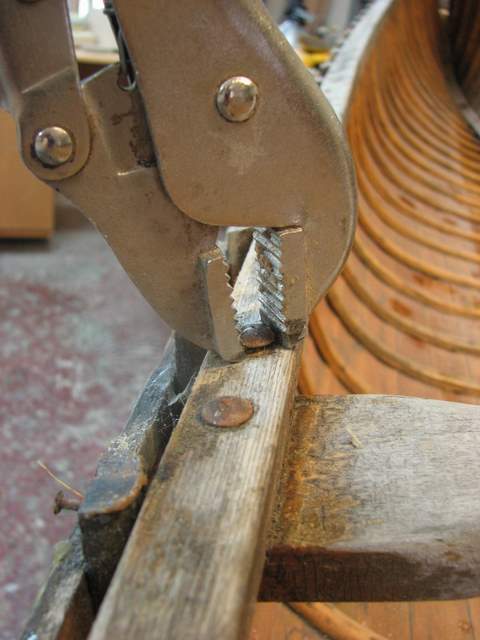 Its hard to hold the side-cutters tight enough to spin the stubborn bolt out, these hold on tighter! So another gunnel repair. Same story as on the recently repaired Kildonan gunnel. Posted by Doug Ingram at 9:21 p.m.